Wearers of the D.W.eyes goggles experience the visual distortion, loss of perception, and lack of control that make drunk drivers so dangerous. No specific blood alcohol concentration is represented. 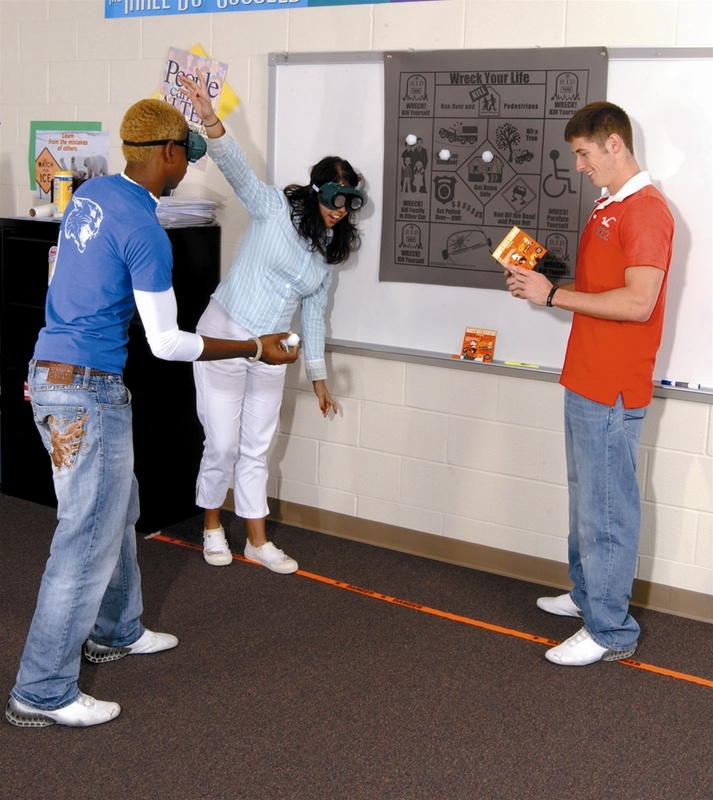 Role-playing games use the goggles to make drunk driving consequences more realistic. Game kit includes two pairs of D.W.eyes goggles, instructional DVD, Wreck Your Life game, teacher's guide with reproducible handouts, and 25 16-page booklets.